HRM needs an affordable housing plan, not empty words. Halifax is starting to experience the kind of economic growth that drives up housing costs, creating challenges for many who struggle to provide safe and secure homes for themselves and their families. Recently Councillor Uteck proposed rent control as a solution. I think HRM can do better. Rent control is just one tool out of many that could be used to create affordable housing and foster housing security. Rent control is also a provincial issue, not municipal. I find it interesting that municipal politicians are focusing on the one thing they can’t control, rather than talking about things they can. The province has a lead for social services. Unlike municipalities in the rest of Canada, since the 1990s HRM does not deliver those services on behalf of the province, nor do we want it to. But the province doesn’t really think about affordable housing in the context of community development. The province doesn’t think about program delivery in the context of how it works close to home, on your street or in your neighbourhood. So we need someone to develop an integrated plan for housing. HRM is the obvious choice for the job. The municipality is the most immediate level of government and closest to community. Responsibility for planning and land use, as well as community development, is clearly municipal. HRM needs to have a plan and lobby for funding and programs with provincial and federal governments. Unfortunately, HRM has largely done away with community development officers, and failed to engageaffordable housing advocates. In fact, HRM has generally avoided the topic altogether. This has to change. Public housing. HRM needs to push the Province to renew and rethink public housing in HRM. 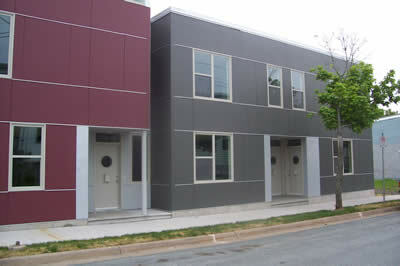 Even though Metro Housing Authority (MHA) is provincial, HRM could invest or partner in new and renewed housing. We should be very concerned about the operations and long-term plans of MHA. It is fair to start making demands, since MHA is funded in large part by a property tax levy. New models that encourage creative solutions. Affordable housing could benefit from the land bank model – all HRM & school board property sold in the core could create a fund that is used to invest in affordable housing. This fund could be used for public initiatives or to invest in co-ops, private and not-for-profit projects. It is unacceptable that projects like the final phase of the Creighton/Gerrish Association development have stalled for literally decades due to lack of funding. Define affordable housing. Right now there is a federal definition of affordable housing (30% of income for low- and middle-income earners) but HRM has not made that definition a matter of policy. HRM needs to pass a policy that binds staff and developers to create housing to meet the needs of those at risk in the low- and middle-income brackets. Using affordable housing to achieve height-bonusing downtown, developers could then either meet this criteria, or contribute cash directly to the affordable housing fund proposed in point 2. Speed approvals and permits. From secondary suites to small row houses to apartment buildings, we simply need more, new and diverse apartments and homes for citizens. Otherwise, when supply is so much lower than demand prices rise dramatically. We need to see what HRM can do to make sure we have a balance between new condos and new rental units. These ideas are just a beginning. We need to sit down with all the stakeholders and hammer out a plan that works without delay. HRM has lots of tools in its tool belt. Rent control is one option, but I don’t think it is the best choice because it would actually slow down the construction of much-needed new housing. My opponent has focused on one politically expedient approach, and that simply doesn’t make sense. Let’s talk about real solutions and stop playing politics.